Happy Saturday! 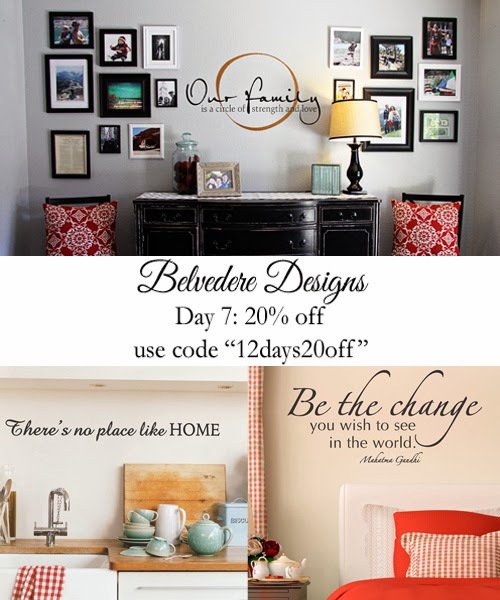 It's Day 7 of our 12 Days of Christmas promotion, and, today only, we're offering 20% off your entire order! Just enter code "12days20off" at checkout. What a great way to pick up some great gifts and get amazing savings in the process! Be sure to come back tomorrow (and every day until December 12th) to see our next promotion! Remember, each promotion is only good for one day only! This is beautiful! I love the "Our Family" decal. We need something like this for an over hang over our foyer!